Did you know that both saltwater and fresh water can harm your boat? Find out the best ways to protect your boat in any type of environment. You’ve followed all of the proper steps and you’ve finally bought a quality boat. The dream of being a yachtsman is finally real! Now comes the real work. How do you care for your boat? Proper care is the only way to make your boat last in both saltwater and fresh water. Not sure where to get started, that’s ok. We have three tips to help you become a boat maintenance pro. When you are done using your boat in either fresh or salt water you should always wash your boat. This is to clean off any salt, oil, or dirt that is on your boat from use. Use fresh water to rinse the salt off of your boat after each use. If left on your boat, it will corrode the metal hardware and the gelcoat on your hull. For the best clean, use a soft bristled brush and a marine boat wash. This type of soap is formulated to clean but not damage your gelcoat. Outboard motors are made of aluminum. Salt is aluminum’s worst enemy. When you don’t flush your motor, the salt builds up which leads to overheating and corroding. It is also important to flush after freshwater use. This clears out any silt or sand that can get deposited during use. Most engines today have a hose hookup. You can simply connect a garden hose with an attachment. Once the hose is connected, turn it on and let it run for at least 10 minutes. Make sure you check your owner’s manual and follow all directions provided by the manufacturer. Every time you use the boat ramp you dunk almost your entire trailer into the water. If you put your boat in saltwater, that is saltwater coating your trailer. You’ll want to rinse the salt off of the trailer, the moving parts, and the tires. If you don’t, the salt will start to corrode your trailer. Another great way to protect your trailer is to give is a protective coating. Speedliner coatings put a protective layer between your trailer and the saltwater that will cause it to corrode. When you have two different metals that touch each other, or in a conductor, one of the metals will corrode faster than usual and the other will corrode slower than normal. Saltwater is an electrolyte or electrically conductive fluid. So, all of the metals that are on your boat are sitting in a fluid that can create this galvanic corrosion phenomenon. A sacrificial anode gets connected to the metal you want to protect on your boat. These cheap pieces of metal are usually made out of aluminum, zinc, or magnesium. You’ll want to periodically check them, as their effectiveness directly relates to their connection quality and surface area. Both of which decline as the metal corrodes away. You should replace the anodes when they are about 2/3 of the way gone. By keeping up with this you’ll protect your boat’s propeller, shaft, engine, rudder, and hull. A good rule of thumb is that the higher the water temperature and salinity the more likely your metal will corrode. You will also want to only use marine grade hardware on your boat. These are pieces that are made from bronze, monel, or 316 stainless steel. An alloy such as brass, which is zinc and copper, will only partially corrode. So, the zinc corrodes away, which leaves a weird spongy copper. Whether you are in fresh or saltwater you should regularly check your propeller throughout the season. Use your deep well socket to take your propeller off. You’ll want to look at the propeller shaft and make sure nothing is wrapped around it. Often discarded fishing line gets caught up and tangled around the propeller or shaft. This will cause your gear case to leak. This is a big problem and will require a professional mechanic to repair it. You’ll also want to look at the propeller itself. Make sure that there are no pits, dents, or other signs of damage. This can happen if there is anything floating in the water that you come across while driving your boat. Both fresh and saltwater can have discarded debris. The best way to avoid this damage is to stay vigilant while driving so you can avoid anything floating in the water. If you find that your propeller is pitted or damaged you’ll want to replace it. Your propeller needs to glide through the water smoothly, and pitting and damage prevent that. This will then put extra stress on the rest of your boat. Finally, you’ll want to put a good amount of grease onto the shaft before you put the propeller back on. This will keep everything from getting frozen and locked up. You’ve finally bought the perfect new boat to achieve your yachting dreams. Now is the time to learn how to care for it so that it will last for years to come. Your maintenance for saltwater and fresh water use might vary slightly but are generally pretty similar. When you’re done using your boat for the day, make sure you rinse everything off. This is a great time to perform your checks to make sure that your metal is in good condition. You’ll also want to perform periodic maintenance and inspection of your propeller and the shaft. Check for any possible damage. Make sure you prevent any future damage by greasing the shaft. 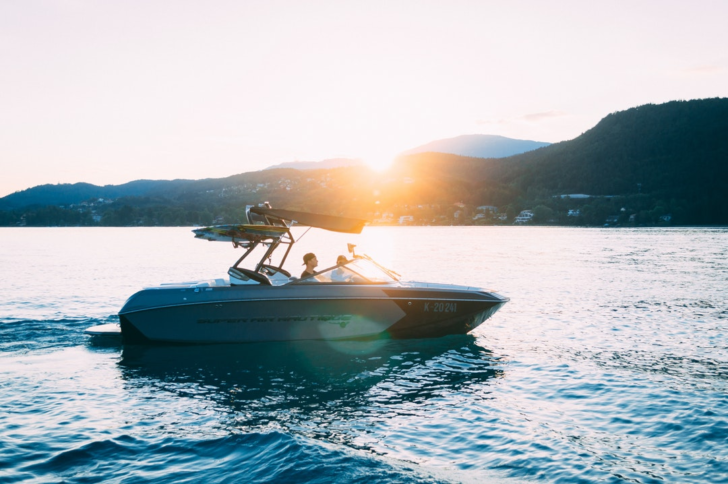 Make sure you know these 5 outboard maintenance tips for caring for your boat motor.